“Larry King Live” was a staple on CNN for 25 years; it was one of the network’s most popular attractions and its longest-running show. King interviewed everyone from celebrities like Frank Sinatra to participants in the top stories of the day. 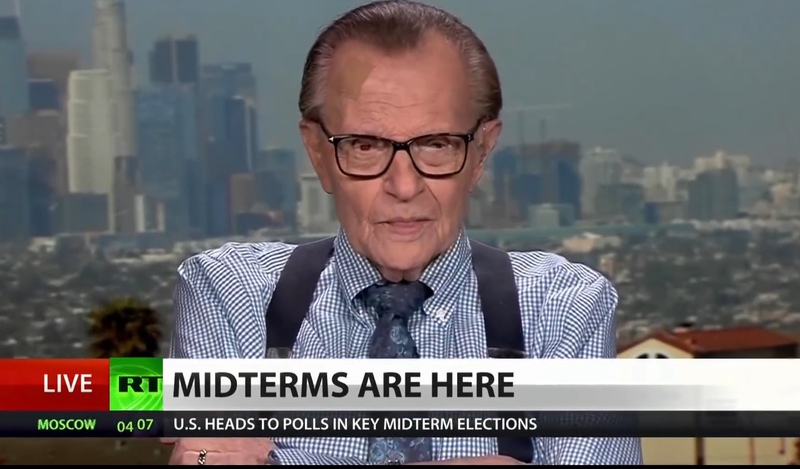 Legendary broadcaster Larry King discusses the Trump era on RT America, Nov. 6, 2018. YouTube screenshot. CNN is in the midst of a bitter dispute with Trump after the White House canceled its chief White House correspondent’s media credentials. 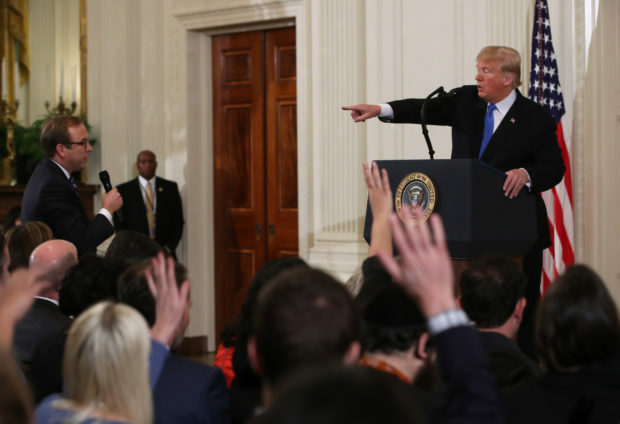 Jim Acosta became engaged in a lively argument with the president during a Wednesday news conference. White House Counsel Kellyanne Conway has demanded that Acosta apologize for not relinquishing the White House microphone and allegedly putting his hands on a female staffer.